Three boys have been arrested after a student was 'attacked' in Chichester yesterday afternoon (Tuesday), according to police. Police said officers were called to Avenue de Chartres where a 17-year-old boy had been 'assaulted' between the skate park and Chichester College just after 1.40pm. 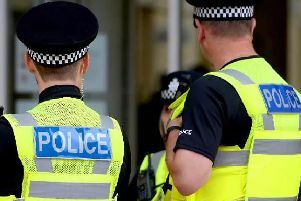 A police spokesman said: "The boy had suffered cuts and bruises to his face after being attacked by a group of boys and was treated in hospital." PC Tom Van Der Wee said police believe a 'number of people' witnessed the assault on 'a busy road at a busy time of day'. He added: "We believe about six boys were involved in this unprovoked attack and we are keen to hear from anyone who saw what happened." Anyone with information is asked to report it online quoting serial 689 of 16/10. Alternatively, you can visit the Crimestoppers website or contact the independent charity anonymously on 0800 555 111.